Of all the anti-vaccine lies; of all the perfidy of the anti-vaccination movement; of all the direct threats to public health they pose; those who argue against the administration of neonatal Vitamin K are right up there amongst the most heinous. A BABY girl died from vitamin K deficiency bleeding just 33 days after her parents gave instructions that the newborn child was not to be given any injections or medication, a coroner has found. Deputy State Coroner Christine Clements has supported a pathologist’s recommendation that future siblings of the baby receive vitamin K, which can prevent bleeding problems in infants. An investigation into the death of the girl – born in a regional Queensland hospital last year – heard that the mother, 30, wanted an entirely natural birth for her first baby. The parents had made that decision despite being given information at an antenatal visit that newborn babies required vitamin K to prevent bleeding problems in the first few months after birth, the coroner said. She said the pregnancy was uneventful and the baby was born 10 days early in hospital. The baby was not given vitamin K – nor was she vaccinated for Hepatitis B – before the mother and baby went home a day after the birth. A month later, the mother noticed her baby had been sleeping a lot and was not feeding as much as usual. In the early hours of the next morning the mother saw the baby was limp and an ambulance was called. The baby was taken to the nearest hospital and then airlifted to Brisbane’s Mater Hospital, where a CT scan revealed the child had bleeding on the brain, the findings said. The baby was given plasma and vitamin K, but she died the next day. After an autopsy a pathologist concluded the cause of death was haemorrhages due to late onset vitamin K deficiency bleeding. In her December 3 finding, Ms Clements concluded the baby died after suffering extreme bleeding in the brain over a month, due to a lack of vitamin K in her system. “The baby’s mother had a detailed labour plan and a considered position declining various medications and interventions in the birth process,” she said. THE Australian National Health and Medical Research Council recommends that all newborn babies receive vitamin K after birth. Vitamin K helps the blood to clot and is considered essential for the prevention of bleeding problems in newborn babies. Babies generally have a low level of vitamin K in their blood, as it is poorly transferred across the placenta. Breast-fed infants are at most risk of developing bleeding through vitamin K deficiency unless supplementary vitamin K is given to them, usually by injection. Late vitamin K deficient bleeding occurs from eight days to six months after birth, with most affected babies between one and three months and it is almost completely confined to fully breast-fed infants. The segment features an interview between a former pharmaceutical company salesperson – a former salesperson – Brandy Vaughan, who has founded an anti-vaccination organisation for which she is seeking donations – Council for Vaccine Safety – and Prison Planet host, Lee Ann McAdoo. Look, the whole segment is your stock-standard conspiratorial anti-vaccine screed; replete with the obligatory call for funds, at the end. But, there is one section of the embarrassing segment on which I want to focus: anti-Vitamin K activism. The University of Wollongong’s perennial anti-vaccine PhD student, Judy Wilyman, is the great, big hope of Australian anti-vaccinationism. Does she say “the science” a lot? Tick. Does she say “the research” a lot? Tick. 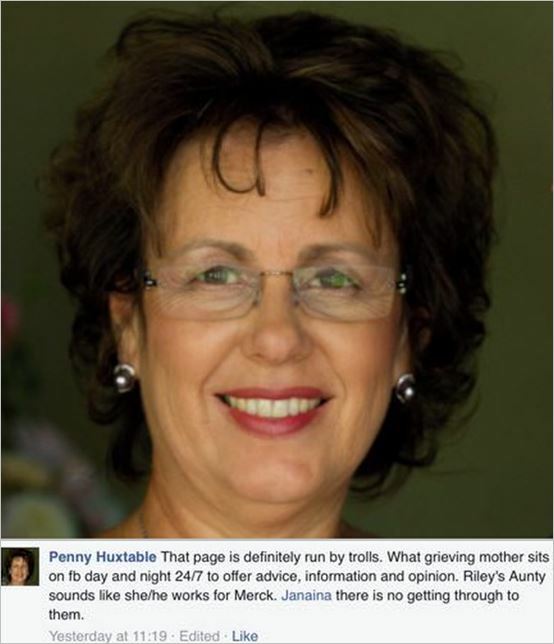 Does she vilify bereaved parents with slurs of kickbacks? Tick. 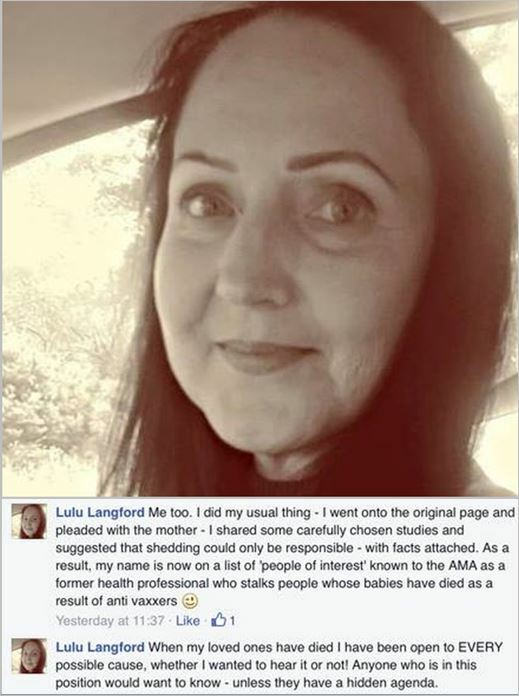 Does she refer to these bereaved parents’ deceased babies as “anecdotes”? Tick. 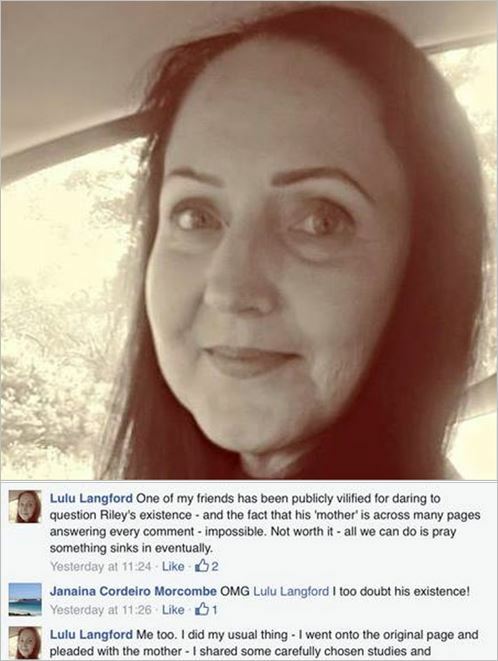 Does she and her cabal of thugs organise anti-vaccine protests under the disingenuous facade of “pro-choice”; the same thugs having followed her example of vilifying bereaved parents; some of the thugs even claiming that the bereaved parents’ baby did not even exist, as some kind of Big Pharma agenda, a thinly masked sales pitch? Tick. 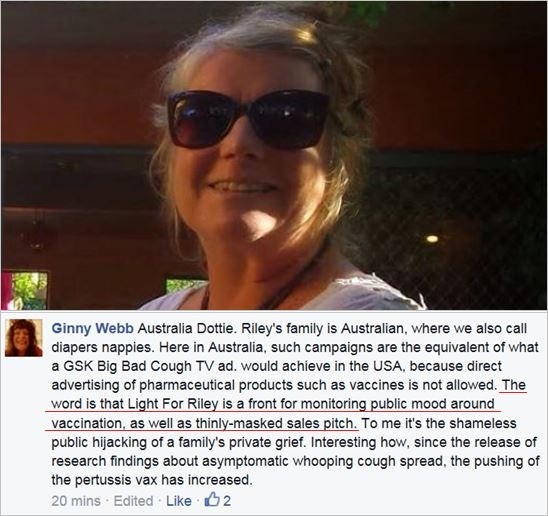 Does she resent the tag “anti-vaccine”; whilst only providing information which is against vaccination, a lot? Tick. Perfect! Wilyman is perfect. And the added bonus with Wilyman is that she appears to have the ongoing imprimatur of the University of Wollongong; who in turn would appear to have had the word “disrepute” erased from all of its libraries’ dictionaries. Lee Ann McAdoo (host): And you mentioned the vitamin K which I think is sort of a new thing that all of a sudden now this is something that children on their first day of birth – when they’re born – they need to have this now, all of a sudden. Your son wasn’t given it there in Holland, they didn’t even know about it, so you hadn’t even done a lot of research into why this is being given. But it was interesting here because Rob Dew, our producer, he just had his fourth child, a little girl, and so they wanted to give this vitamin K and he said, “well, talk to me about it, I want to read the insert”. And what they were saying was it’s 100% vitamin K, it’s completely fine, safe and effective – it’s that same talking point, safe and effective – and you actually brought some pretty interesting news to us. So go ahead and talk to us about what was actually going on with this vitamin K.
Brandy Vaughan (Council for Vaccine Safety): Right. Well, luckily it was kind of a random – although I think nothing is random in the world – a conversation with Rob, and I had a nurse send me, just last week, a photo of the box of the vitamin K injection that they give, and then also a different company, she sent a picture of the vial. And this is things that we would never see when we actually go into the doctor’s office, we don’t see, they don’t tell us in the hospital. Lee Ann McAdoo: It’s just natural, it’s vitamin K.
[Vaughan continues] it’s a known neurotoxin. it’s a heavy metal, it’s incredibly difficult to detox from and we’re injecting these into the bloodstream, so it goes straight to the vital organs. It’s not like when you ingest something and 60% of it is filtered out through the kidney and the natural detox process. It goes straight to vital organs. And this is happening on day one. So it’s not surprising that the US leads the developed world in infant mortality rates and day one mortality rates. And we seem to think that we have the best healthcare protocol in the world and you’re not seeing these type of things in other countries. And people need to start questioning this because what I’ve really learned during my research is this is all about profit; it’s not about our health. I mean, how can we believe that it’s about our health when we have the sickest children, we have the sickest generation of children in our country at the moment. You know, things like peanut allergies, peanuts are no longer allowed in schools. You know, all the food allergies, the gut issues, the autoimmune diseases, all of these things that I mentioned. I mean, that is the true epidemic in our country are those diseases and that childhood level of poor health that we have. In her recent submission (number 468) to the No Jab No Pay Senate Inquiry, Wilyman concludes that “references can be obtained from my doctoral thesis submitted at the University of Wollongong.” If I was this university I would be trembling behind a rock at the thought that the name “Dr Judy Wilyman” will be forever wed to the University of Wollongong’s name, just like she is doing underneath every single one of her recent newsletters. As if she hasn’t brought enough permanent disrepute to the university. Maybe when Wilyman has real blood on her hands the University of Wollongong might take this a bit more seriously. 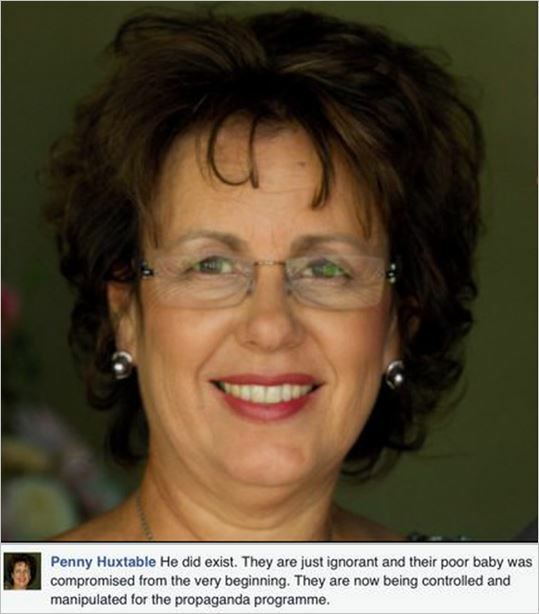 This entry was posted in anti-vaccination dishonesty, australian vaccination network, AVN, Immunisation, Judy Wilyman, meryl dorey, skeptic, stop the australian vaccination network, Vitamin K and tagged Alex Jones, anti vaccination, australian vaccination network, Australian Vaccination Skeptics Network, Australian Vaccination Skeptics Network - HCCC Public Health Warning, AVN, AVsN, Brandy Vaughan, conspiracy, Death, Haemorrhage, Hepatitis B, Infowars, Judy Wilyman, Prison Planet, University of Wollongong, UoW, vilification, Vitamin K. Bookmark the permalink. At first blush, the vitamin K deficiency bleeding in infants and the deaths caused by it would seem something that would make our species survival to our current stage of development improbable. Then, one considers that as we were developing in our technology, family sizes were immense, with five to ten children and perhaps one third would survive to adulthood. As for aluminum, it is indeed a magical thing. After all, when one adds 100 mcg/L to 250 mcg/L, it gathers mass and becomes 350 grams. It is indeed toxic as hell too. My mother used to cook in aluminum cookware and I died as a child. I got better though, after all, aluminum is only highly toxic in other worlds than this real world. I imagine that these people also think that hydroxic acid is toxic too. Well, one either uses humor in these situations or one simply goes mad. Excuse me while I ingest some hydrogen hydroxide, with a dihydrogen monoxide chaser. It may be that vitamin K injections were not routine in the Netherlands (that might have been true some years ago, but definitely is not now), but when my eldest was born in 1994 in the UK vitamin K was already routinely administered. The high US neonatal death rate is an artifact of the way healthcare is funded, as far as I can tell. Most of the neonatal deaths are in communities with low levels of health coverage. The statement that vaccines don’t undergo the same level of safety testing as normal drugs is blatantly false. The statement that the US has more jabs is also false. The reason there are no placebo based studies of vaccines is obvious: ethically, you cannot fail to give a vaccine for a deadly disease. These people are dangerous lunatics. While vitamin K has been known of since 1929, the lack of vitamin K in newborn children wasn’t realized until the late 1980’s and it was easily addressed with an injection of the vitamin. As a child in the 1960’s, I was prescribed vitamin K, out of desperation to halt nosebleeds that literally soaked bath towels. That was discontinued after a year, as it was a risky strategy to control such severe blood loss. The embarrassing neonatal death rate is indeed well studied and proved to be due to low income and a lack of medical insurance coverage. Poverty overall tends to lower the life expectancy of our citizens. The lack of medical insurance also lowers the number of vaccinated children. I don’t see that being addressed any time soon, as wealthy special interests have been incessantly seeking to eliminate any and all relief programs and are continually attacking the affordable care act. But, as I’ve repeatedly told my fellow countrymen, “The United States of America has the best government that money can buy”. Wow – mafs is not strong wif dis one. Indeed – orders of magnitude escape her. Not a very well-informed about pharmaceuticals – I’m glad she is no longer advising about drug dosage or administration. Her Facebook page looks pathetic.